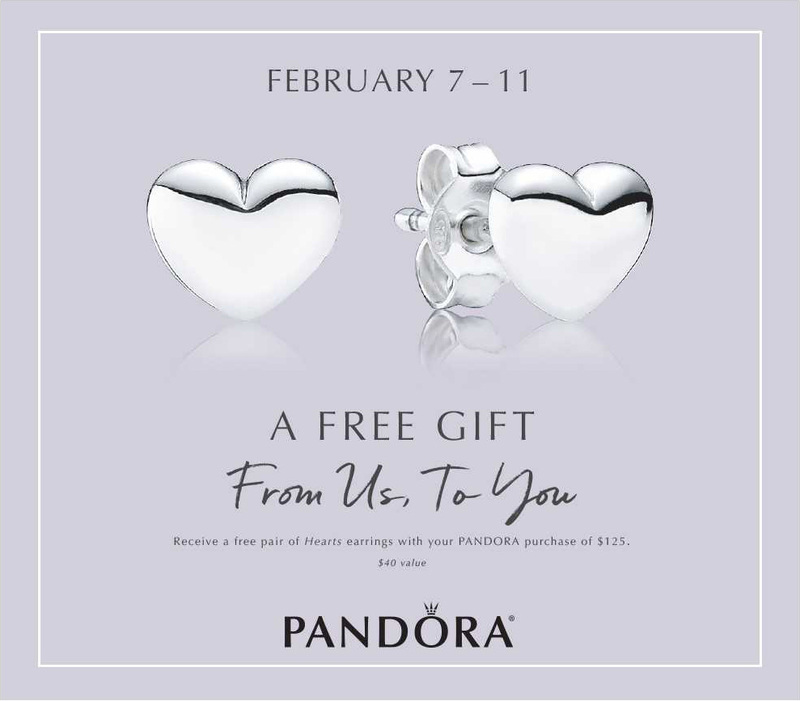 From 7th – 11th February receive a FREE pair of PANDORA Heart earrings with a $125 USD spend! The free earrings promotion starts on Thursday 7th February runs until Sunday 11th February 2019. 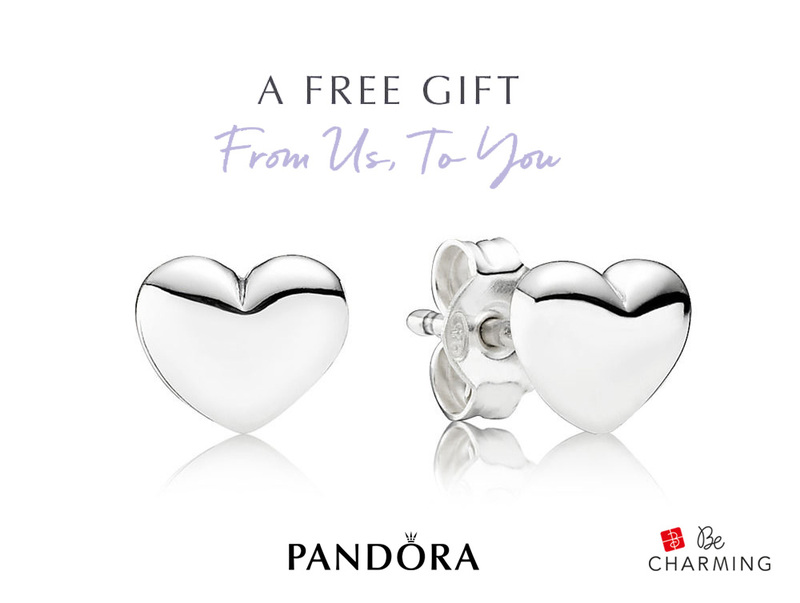 Receive a pair of silver Heart Earrings (290550) with a $125 USD spend on PANDORA jewellery. A limit to 3 pairs of earrings per person. From 31st January – 14th February receive a FREE Sparkling Arrow Necklace with a $150 AUD / $180 NZD spend! The promotion starts on Thursday 31st January and runs until Thursday 14th February 2019. Qualifying spend must be met in a single transaction in order to receive the gift. The exclusive gift is limited to one per customer. Receive a FREE PANDORA Necklace with a HK$1,280 spend! Spend HK$1,280 on regular priced PANDORA jewellery and receive a FREE PANDORA Necklace. Choose either the Sparkling Arrow Necklace or the silver Beaded Necklace. Now until Thursday 14th February receive a FREE PANDORA Jewellery Box with a RM688 spend! From Monday 28th January until Thursday 14th February 2019, receive a FREE PANDORA jewellery box with a RM688 purchase on normal priced items only. This offer is valid at all PANDORA boutiques in Malaysia, while stocks last. One PANDORA jewellery box per customer. This offer cannot be combined with any other ongoing promotions. 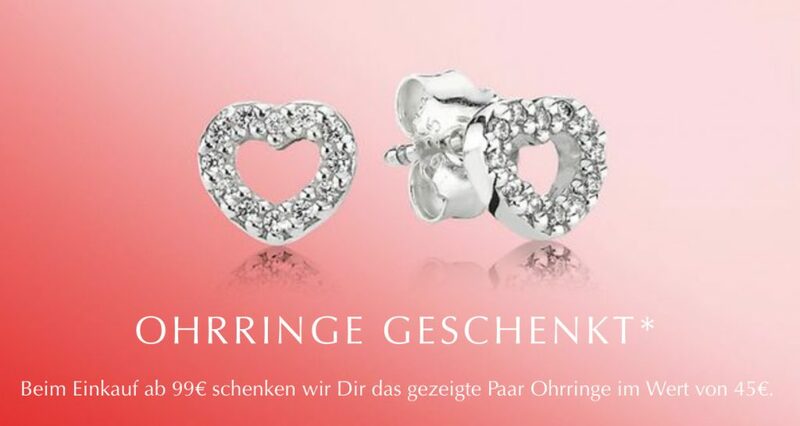 From 31st January – 14th February receive a FREE pair of Heart Stud Earrings with a €99 / 999NOK / DKK799 spend! The Free Earring promotion starts on Thursday 31st January and runs until Thursday 14th February 2019. Spend €99 / 999NOK / DKK 799 / SEK999 on full priced PANDORA jewellery to receive a FREE pair of PANDORA Heart Stud Earrings (290528CZ) worth €45. PANDORA FRANCE: FREE Engraved Heart Pendant Charm! Receive a FREE PANDORA Heart Pendant Charm with a €109 spend on the PANDORA Valentine’s Collection. To receive the FREE PANDORA Heart Pendant spend €109 on the PANDORA 2019 Valentine’s Day Collection. Buy 3 selected PANDORA items and just pay for 2! Starting Friday 1st until Thursday 14th February 2019 buy 3 PANDORA items and just pay for 2! The cheapest item will be the free gift. The full list of products featured in the Valentine’s offer can be found here. FREE PANDORA charm with a €99 spend! From 1st February until the 14th February 2019 receive a FREE PANDORA charm with a €99 spend. 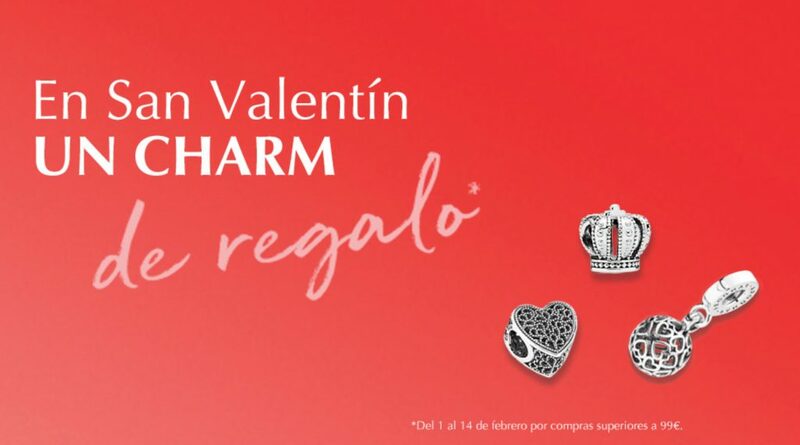 The free charm is one of the three charms: with the following references: PANDORA Crown Charm (790930), PANDORA Openwork Romance Heart Charm (791811) or the PANDORA Harmonious Hearts Pendant (797255). I don’t know how I feel about this years free gift…what happened to the nice jewellery boxes! Hopefully there will be some more promos soon. I am from Australia and the bracelet gift set is unavailable here too sadly. It is really annoying as the gift set is available in some countries but without the jewellery box! I’m sorry but I still don’t have any information on the U.K. promotion. I’ll post as soon as I do. Apparently, the UK is not getting a Valentine’s Day offer!!! Unimpressed with the lack of Valentine’s Day promotion this year… especially considering that there is one is the USA, Australia, New Zealand, Hong Kong, Malaysia, France, Germany, Austria, the Netherlands, Finland, Sweden, Norway, Denmark and Poland! Wow, it’s a shame that they are getting free jewellery boxes, earrings, necklaces and 3 for 2 offers! So, what’s the reason that the UK have been left out? Thank you for sharing your view. I think ‘unimpressed’ is exactly the word to describe these latest promotions. I haven’t had confirmation one way or the other if PANDORA will be having a promotion in the UK but it doesn’t look hopeful. Thank you for voicing your opinion and have a good Friday!